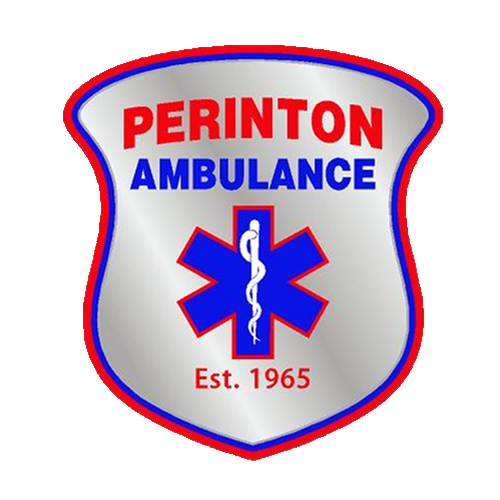 Today, the Perinton Volunteer Ambulance Corps is proud to announce the integration of the latest technology in crew and patient safety: Power-LOAD™ from Stryker EMS. 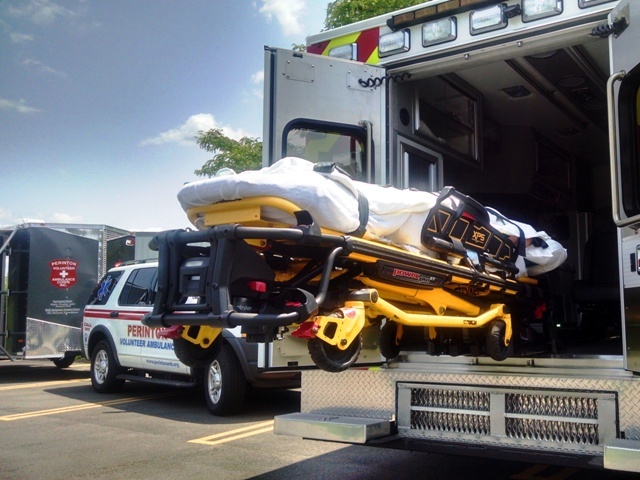 This system hydraulically loads and unloads stretchers into an ambulance, drastically reducing the potential for EMT and patient injuries. Power-LOAD™ uses a system of battery-powered hydraulics to support the weight of the stretcher and patient while retracting or lowering the wheel carriage during the loading and unloading process. The system supports up to 870 pounds, which includes a patient weighing up to 700 pounds in addition to the weight of the stretcher. Additionally, the system improves patient safety through ensuring the stretcher is fully supported during loading and unloading, preventing the potential for dropped stretchers. In the event of a collision, the system has been proven to withstand crash events well over 10 Gs (front and rear) and up to 10 Gs laterally. This is possible through multiple floor anchors to help prevent detachment of the stretcher. The system will be installed in each of PVAC’s four ambulances over the summer and an additional viewing opportunity will be during our Open House, being held on August 24th from noon until 4:00 pm.